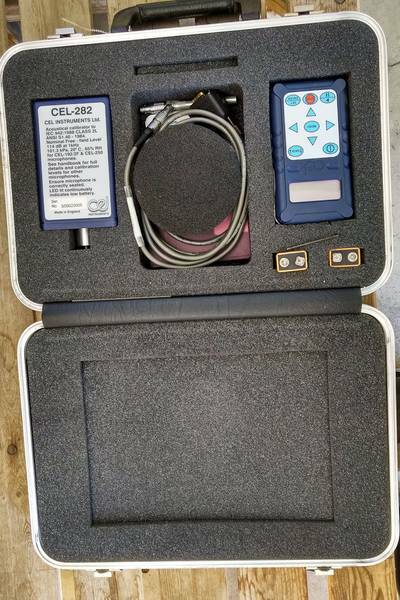 I have a Casella CEL-464 professional-grade sound level meter for sale. 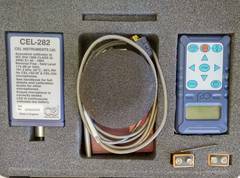 I used the unit during the early 2000s to measure the noise emissions from small wind turbines. Calibration of the microphone is traceable to NIST (2001). 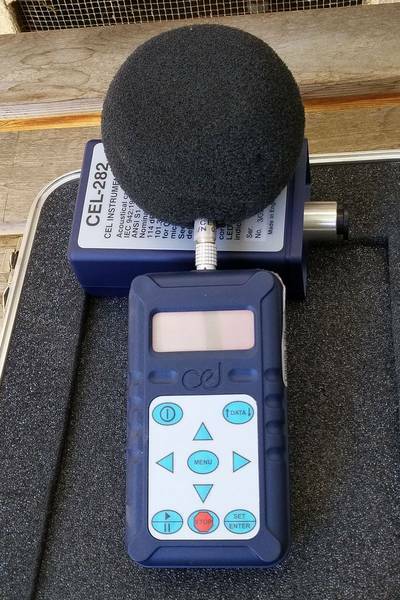 The sound level meter is a dosimeter for use in measuring personal exposure to industrial noise. However, the unit is suitable for measuring most kinds of environmental noise, as in my case, the noise from small wind turbines. Photos of me using the instrument can be found in my 2004 book as well as in my current book, Wind Energy for the Rest of Us. 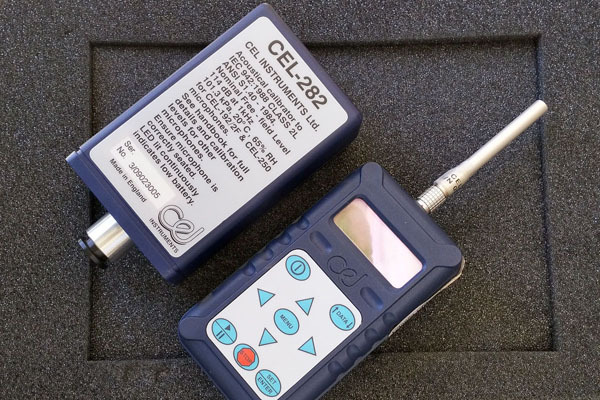 Casella, the British company that made the sound level meter, is still in business and maintains a North American office in Buffalo, NY. They also provide software to use the instrument. The instrument is packed inside a hard-shell case and includes the detachable microphone, wearable recording unit, tone generator for field calibration, VGA output cable for downloading the data to a personal computer, calibration certificate, and operations manual. Batteries were removed for safe storage when I stopped testing small turbines in the mid 2000s. 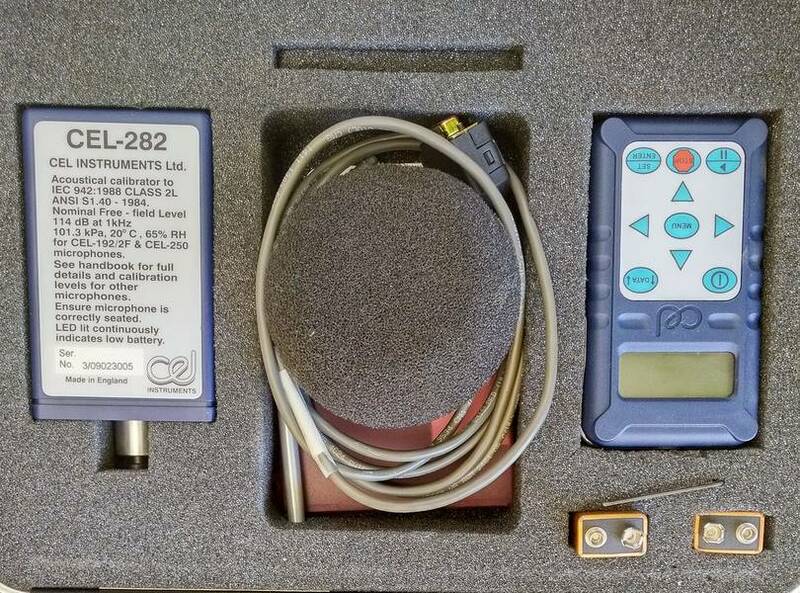 This sound level meter would be ideal for a community college, renewable energy institute, or other institution that would like to do their own testing and didn’t want to spend top dollar for a new, fully-featured sound level meter. At the time, Casella’s CEL-464 was a fraction of the cost of professional-grade sound level meters. This device is not a cheap Taiwanese knock-off of professional instruments. I paid $2,000 for the device in 2001. Identical units are currently offered for sale on E-Bay for $1,500. I would be happy to take much less to find a good home for this instrument.